We love it when healthy things become really popular buzzwords, because we feel like our world is on the verge of a total health-conscious overhaul. The word we have been hearing lately is “detox” — our friends are all talking about the latest juice cleanse or an herbal remedy or a new diet or maybe even a detox recipe from social media — but what does that mean? We've covered detox strategies before in other articles, but we have never really gone in depth about what it really means to detoxify. Simply put, detoxification is the process of cleansing by removing toxic elements from your body and mind. We typically think about toxicants when we work with detoxing our bodies, but that might only be half the story. If you’re working on ridding your body of extra toxic elements, looking at the sources of both artificial and biological contamination could be more helpful to your health than just loading up on green juice and herbs (which is also great, by the way). A toxicant is something artificial that can build up in the body and have negative impacts. These are things like the chemicals in manufactured makeups and skin care products, antibiotics, heavy metals, pesticides, air pollution, alcohol and drugs. We’re exposed to a lot of toxicants everyday, some of which are by choice and some of which are in our environments. Reducing toxicants where we can is really helpful (sometimes more so than a detox program). And for the environmental pollution that’s not in our control, detoxification is key. Toxins on the other hand, are biological entities — things like bug bites, food allergies, yeast, bacteria, fungus, even emotional and spiritual trauma. Though our own bodies don’t produce substances that are toxic to us, it’s important to remember that when our systems are out of balance, we may overproduce some substances. When this happens, they essentially act as toxins in the body. Some examples are stress hormones and LDL cholesterol — they are completely necessary in specific amounts but become toxic when we have too much of them. Whereas removing excess toxicants is fairly straightforward, removing excess toxins may involve the extra step of balancing your body’s natural substances. This extra step, while challenging, can not only help you feel better right away, but can increase your body’s ability to fight off the effects of toxicants (because when you’re out of balance, everything is harder for your body). While the distinction between toxins and toxicants is crucial to understand, the way to remove them is the same. The body systems have an amazing way of working together to get rid of unwanted substances. It’s important to know that if you decide to detoxify your body, your elimination organs need help in order to keep up and process all of the toxic agents that you’re releasing throughout the process. You want to build up strength in your organs before your detox so that they’re ready to take on your cleanse. Fat soluble toxic agents are a good place to start with your detoxification, because they make up the bulk of what we come into contact with — pesticides, hormones, heavy metals, antibiotics, BPA and most toxicants from processed foods are fat soluble. Where do these get stored? That means that if the body isn’t able to eliminate them, those toxic agents will be stored in fatty deposits. This is where you hear stories about toxicants making you gain weight because the body will coat the fat soluble toxic agents in more fat to protect you from the negative effects that they could have on your health. Of course, increased fat deposits aren’t healthy either, but a little extra fat is healthier than a pesticide floating around your bloodstream damaging your cells. A really important point about rapid weight loss and cleanses — if you’re losing fat really quickly, there’s a good chance the toxic agents your body has stored are being re-released into your bloodstream, and they can make you really sick. It’s important to take weight loss and detoxification at a pace where your body can handle it. Of course, that pace that makes sense for you is complicated, so we absolutely recommend speaking with a health practitioner about it. Your liver works with the digestive system and the lymph to break down and process the fats that you’re digesting and utilizing as energy. It actually has a whole slew of amazing functions including organizing useful nutrients, cleaning out the toxins (and sending them off to be disposed of properly), detoxifying the metabolites, maintaining the balance of fats and carbs, storing glucose as glycogen, and feeding the tissues in the body. Wow, quite the job description! It’s important to strengthen your liver before you start on your herbal detox cleanse or rapid weight loss diet so that you’re not overloading it with extra work on top of all the other important things it’s doing for you. 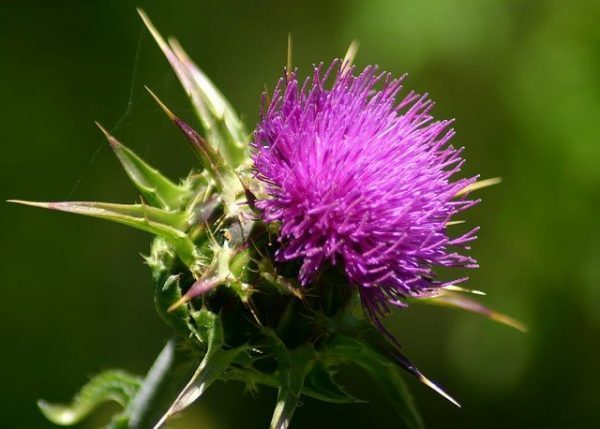 Milk Thistle, internally, is one of the best hepatoprotective (liver protecting) herbs. Herbalists that travel in the desert a lot carry at least 4 ounces of milk thistle extract with them just in case of a poisonous snake bite. Typically the toxins from a snakebite will overwhelm the liver, but drinking all 4 ounces could protect it from the poison and save your life. The same thing applies here for detoxing your body! If you’re releasing a lot of toxins into your bloodstream, you want to protect your liver. Taking milk thistle before, during and after a cleanse can help you process toxins faster and feel better. Another classic liver herb, dandelion root — internally — helps to safely stimulate and nourish the digestive system and the liver so that it can do its job better. It’s also a great prebiotic, meaning it feeds the enzymes in your stomach so that they can break down your foods more effectively (so that you don’t build up extra toxins). This herb, when taking internally, acts as a cholagogue, which means that it stimulates bile release from the gallbladder into the small intestine. Bile is what emulsifies fats and allows them to be properly broken down so that the liver can correctly sort out the nutrients from the toxic agents. Lemon balm is also a nervous system tonic and a digestive stimulant, so it’s working on a couple of levels to help your body relax and process food. After the liver enzymes break down the fat soluble toxins, they either exit the body through the digestive tract or they’re pushed into the bloodstream. The toxins found in the bloodstream have undergone a complicated enzymatic process to become water soluble. In this form, they can act as independent toxic agents and can cause internal damage. Good thing it only takes about five minutes for our kidneys to filter all of the blood in our bodies! For the same reasons that you want to strengthen your liver, you want to strengthen and support your kidneys. The kidneys need to be able to spot a toxic agent on their first filtration and push it out of the body as soon as possible so that they don’t stay in the bloodstream. They also need to be strong enough to continuously filter the blood. Most of the time we think of our kidneys as part of the system that releases liquid from the body in the form of urine. It’s actually more accurate to describe them as part of the system that decides how much fluid to retain. The kidneys rule fluid transportation in your body, filter toxic agents out of the blood, maintain blood pressure, and decide which minerals to keep in circulation and which to release through urination. I think I say this in every article but drinking water is absolutely crucial here because the kidneys are all about fluids and flushing. 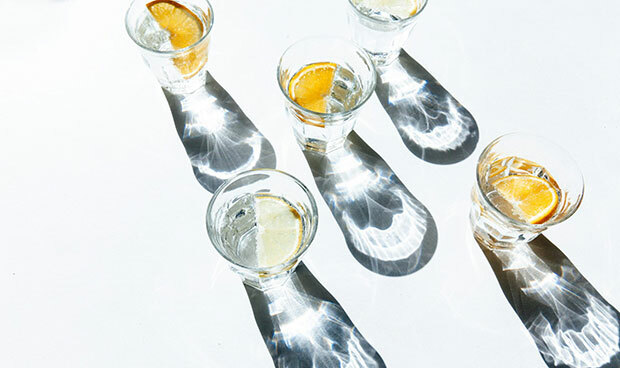 Drinking at least a half gallon of water everyday is good for you but before, during, and after your detox is crucial and can make the whole process easier on you. I also suggest adding a little bit of good salt to your water to replenish your electrolytes throughout your day. Yep, you’re reading it right! The root, taken internally, is good for your liver and the leaf is great for your kidneys. That means you can use the whole dandelion plant for your detox! Dandelion leaf is a gentle diuretic and it stimulates the immune system. It helps to strengthen your body against toxic agents during your detox because your kidneys can use the diuretic and astringent actions to pull more toxins from the bloodstream and the immune system can see anything left in the bloodstream and work to push them out. This is a really wonderful springtime weed that grows all over the country. Taken internally, it helps support all of the fluid transportation in your body and works with the lymphatic system. I love it because it’s powerful enough to remove catabolic waste and safe enough to take long term and in large doses. I make cleavers as a sun tea in warm weather or make a pesto out of the spring growth. Learn more about cleavers here. 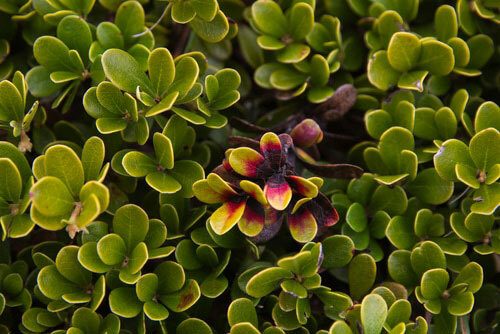 We’ve talked about uva ursi before, as it relates to skin care, but it's just as useful to use internally. This plant is a strong diuretic and though you don’t want to take it all the time, it can be really helpful in helping out the kidneys during a detox. Drinking 2-3 cups of this herbal remedy in a tea a day or two before a detox, throughout the time you’re detoxing and a day or two afterward can be really helpful for your kidneys to move the extra toxic load from your bloodstream. Note: when you’re drinking a lot of water and taking diuretics, you’ll pee a lot. It’s actually a good thing. Don’t hold it if you don’t have to because holding it can backup the kidneys and actually weaken them. The truth is you’re detoxing all the time. You have several body systems programmed to do that for you without having to actively think about it. The trick is to help keep them functioning optimally so you can process out all the gunk we’re bombarded with in our daily lives. If you keep your elimination systems strong and healthy, your overall health will increase and you’ll be less likely to get sick. Being able to process toxins more readily can also help you to shed unwanted weight because the fat soluble toxins will be removed and not stored in extra fat deposits around the body. There are some really simple ways that you can help your elimination systems stay in top notch function all the time. This is number one on every list to help your body function optimally. We’re made up of mostly water, so getting enough water in your body to flush it out and replenish your cells is crucial. A half gallon throughout the day would be ideal but if nothing else, drink a large glass of water first thing in the morning and the last thing before bed. Adding lemon to your drinking water will also help your body maintain its pH and increase your liver function. 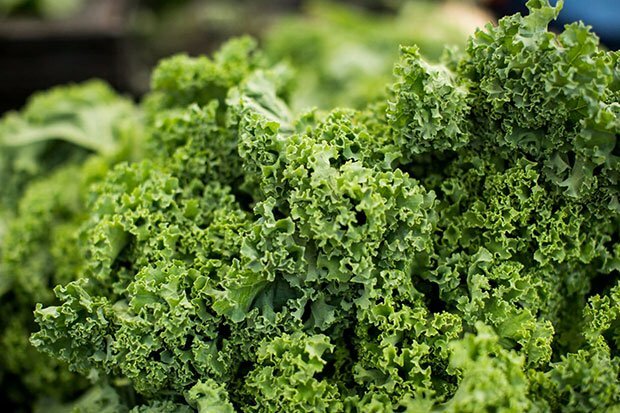 Increasing greens in your diet will give your body more minerals to work with. They’re nutrient dense, easy to process, and they help increase the function of the liver. There are so many reasons to add greens to your diet and so many ways to do so. Including more green smoothies, green juices, and of course, salads in your diet can make a huge difference not only in your detox process but in your health in general. Choosing good salts like Himalayan pink salt or Aztec Sea Salt in place of your iodized table salt will add a lot of extra minerals to your body that will help your body to clear out harmful contaminants. Good salt also helps to boost your electrolytes and give you more energy! Adding roasted dandelion root to your green tea can offer the deep coffee taste and added benefits from our dandelion friend. Do you have detox in mind? Let us know how you plan to strengthen your body in the comments below! Loved this article. So informative and I love that it just reinforces what I’ve learned & done. So many crazy “detox” out there. I’ve done a 30 day clean eating program that does cleanse the body… gently and, as shown by this article, correctly. Being balanced and making some lifestyle changes are necessary to lessen our toxic load and help our bodies heal. This article describes it beautifully. Our bodies are amazing and good food and nutrition can help them heal and run optimally. Thanks for this I will be sharing!! What about nettle? Also. How does one know if the herb is safe? Is there a recommendation inline to purchase ‘safe’ ingestable herbs from? Thank you! As I explore info on the internet about detoxifying, healing leaky gut, eating for health, etc., I find myself hesitant to try a detox. I have been moving to an organic diet, and making new foods such as bone broth, but am not comfortable with detox. For one, the warnings about sending toxins back into the bloodstream and possibly feeling sick tells me that I really need to know what I am doing. That said, I do want to cleanse my system. So my question is, can you recommend a detox service? Either a place I would go and have the process and nutrients provided and monitored, or where a package could be sent to my home with a step by step process, along with the key nutrients that I must take, in the right servings, with a phone-in support service. Unfortunately, we don’t have a service recommendation for you because everyone’s needs are very different, I would suggest doing some research into detoxification systems that might work for your body. It’s important to remember that your body is continuously detoxing. It sounds like you have made a lot of changes to your diet and your lifestyle! That’s a really good first step to getting your body ready to do a more intensive detox. When adding salt to your water to increase electrolytes, how much salt do you recommend? Thanks! Great article, thanks for posting it! I’ve also reposted it on FaceBook and sent it to several people. What is the best way to use these herbs, dried, as a tea or what? I personally like to take my herbs as a strongly infused tea or a decoction (an infusion for any flowers leaves, decoction for barks and roots) because it also gets a lot more water into the body! The one exception to that is the milk thistle because it’s the seeds of plant so it would be too hard to make a tea with it. For that, a standardized extract would be great!